Hacks can make the difference between frustrating and fabulous when it comes to getting your hair to look just how you want it, and sometimes, when you discover a great tip, it can feel like a real win! If you want to use bobby pins to keep your style in place, one of the first things you should know is that the wavy side actually goes underneath, and flat side faces up! A lot of people get this wrong. This already will help the pins to stay in place, but for people with very straight hair, especially if it has just been washed, you may need a little extra help to stop them sliding. 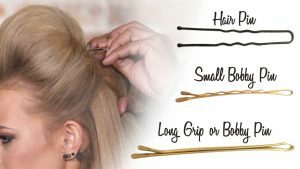 You can make your bobby pins more grippy by placing them on some kitchen paper, spraying them with hairspray or dry shampoo, and blotting them with the paper before putting them in your hair. If you tend to use clip-in extensions to get a fuller look when you wear your hair in a ponytail, you can actually cheat your way to a similar look using your real hair. Simply make a smaller upper ponytail using the top third of your hair, and then put the rest of your hair in a ponytail underneath it. The top ponytail will disguise the lower one, and your pony will look a lot more voluminous. If your hair looks dull and you want to freshen it up without fully washing and drying it, there is obviously dry shampoo. However, there are some other ways to achieve a fast refresh if you don’t have any on hand. 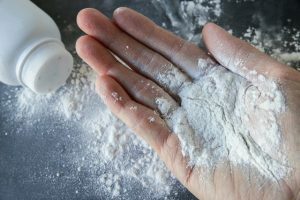 One is to use talc or baby powder in the same way you would use dry shampoo to absorb oil. Another is to simply wash your bangs or the front section of your hair normally over the sink. It will dry quickly and give you the fresh look you want without time spent on a full shower or styling! Of course, the secret to low maintenance, great hair is a good cut, and if you want a new one, make an appointment today at the best hairstylists in NYC!